In this session, Allison Long demonstrated how anyone can use PowerPoint and other easy-to-use tools to create fun and informative videos for results dissemination, library services promotion, or anything else their heart desires. Research indicates that we absorb video content 60,000 times faster than if read. Transitions tab/crush/origami/page turn, etc. Pick one or two to use. Make you PowerPoint presentation into movie: first record timings, then record audio, then save it as a movie. Make it into video (Fille ->Export -> make into video -> use MP4 format). You can use Windows Movie Maker to format the video, which produces the correct size for YouTube, mobile viewing , etc. Elana Broch offered a demonstration of Zotero and discussed many of the features that make it a usable and worthwhile citation management program for students and information professionals. This short demonstration of PAI’s intranet portal included a quick tour of the PAI homepage, professional development resource page, and the shared organizational calendar. The portal was developed to support staff internal information needs and influence organizational behavior by documenting and communicating key business processes, policies and standards. Prior to attending the 2012 APLIC Conference, I was only partly aware of Brewster Kahle and his work with the Internet Archive Project (IAP). 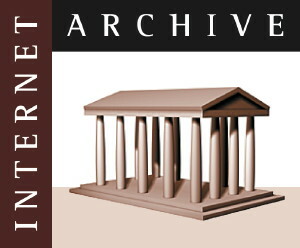 I knew that he was the person behind one of my favorite resources on the Web: the Internet Archive’s Wayback Machine. I’ve used this valuable tool for both work and leisure when seeking out historic website pages now missing from the Web. But while listening to his presentation at the conference, I soon realized that the Wayback Machine is just a tiny part of his vision. What I wasn’t fully aware of is Brewster’s infectious passion for the idea of “universal access to all knowledge.” The no-frills Internet Archive website belies this passion. Don’t get me wrong; I understand why the website is text-heavy and light on design (quicker load-time and less distraction from the content). I just never took the time to poke around on the site and read more about the Archive’s mission, and I felt bad about that in retrospect. After hearing Brewster speak, though, I suspect he would care less about whether people know why the Internet Archive exists and more about if they know it exists at all. Certainly its underpinning philosophy drives the project, but end users don’t need to dwell on that to benefit. The important thing is that people know this amazing resource is available online and free of charge. I think it’s safe to say that all librarians support the idea of facilitating access to information. That is essentially our job description in a nutshell. But Brewster’s take on it is different from the traditional librarian-as-intercessor model. Placing an entire library online, freely accessible to the public, minimizes this traditional role of a librarian. It gets at the heart of what seems to be a shift in the roles we as librarians play in modern information discovery. These days we are at a crossroads in librarianship: should we continue to provide access to print materials for on-site patrons or do we move toward shuttering our physical doors and fully embracing digital collections as the libraries of the future, opening them up online to the world? In his presentation, Brewster made the case that the cost of digitizing a library’s collection is the same as the cost of constructing a building to house that collection. And yet a digital collection can be made available to an exponentially larger audience. To this end, Brewster is asking libraries to digitize their collections and send the files to be included in his digital library. The University of Toronto has already donated 250,000 scanned books! For books still under copyright, online patrons can check them out from the Ebook and Texts Archive on archive.org (a copyrighted book can only be checked out by one user at a time, just like in a traditional library). However, those books in the public domain don’t require a check-out process and can be enjoyed simultaneously by multiple users. How each library decides to move through the crossroads will vary. Some libraries are indeed closing their doors and devoting all their attention to online services. Patron demand can dictate this in certain cases. However, I think that for the majority of libraries, a compromise is the more likely route. Traditional libraries can still keep their doors open to meet the needs of walk-in patrons, but they can also reach a wider global audience by turning over digital copies of their collections to the IAP. The Project will even loan out its state-of-the-art scanning equipment to help achieve this goal. Together we can help build the biggest online library in the world. It seems like a win-win situation, with everyone benefiting from increased access to information. Why shouldn’t we have the best of both print and digital worlds? You’ll have the opportunity to hear Mr. Kahle and ask questions pertinent to your own operations at the APLIC 45th Annual Conference. See you in SF ! Alexis Madrigal over at The Atlantic reports that MLA has come up with a standard form for citing tweets. Maybe not mission-central, but nice to know. . . . According to a survey we recently conducted, Twitter was ranked in the top three services used by Semantic Web researchers to spread information. In order to understand how Twitter is practically used for spreading scientific messages, we captured tweets containing the official hashtags of three conferences and studied (1) the type of content that researchers are more likely to tweet, (2) how they do it, and finally (3) if their tweets can reach other communities â€” in addition to their own. In addition, we also conducted some interviews to complete our understanding of researchersâ€™ motivation to use Twitter during conferences.